Flinders Bank, a new project by Century Group Aus, is set to revitalise the southern edge of Melbourne’s CBD. Combining waterfront living, destination dining, and retail and public amenities — not to mention a 5-star St. Regis hotel — this new project is a gateway to a sophisticated city lifestyle. Designed by award-winning Fender Katsalidis, the three residential towers of Flinders Bank feature flowing geometries and subtle variations of curved glass, which work together to form a cohesive whole. 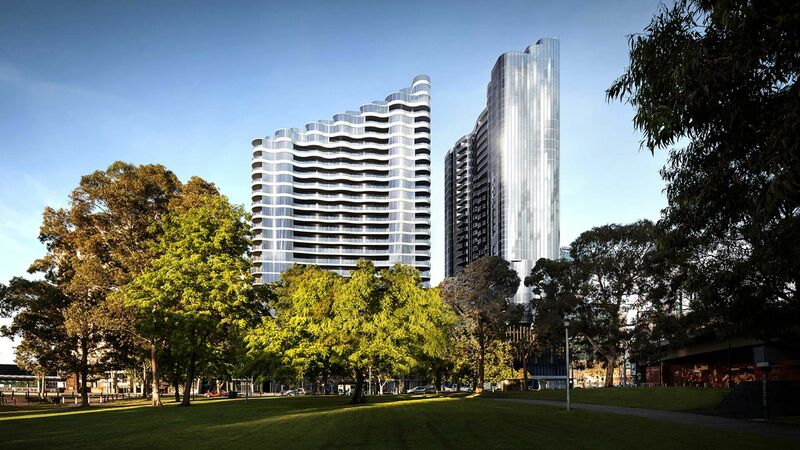 The unique positioning of the towers allows many of the apartment configurations unique panoramic views of the iconic Yarra River and Melbourne CBD. Open plan interiors provide a seamless living and dining experience, featuring high-end fixtures and fittings, and a neutral material palette. Natural stone benchtops and splashbacks are accentuated by tactile details and exceptional craftsmanship, giving the overall impression of classic elegance. The discerning homeowner will appreciate the top-of-the-range fittings found in the bathrooms, where custom-designed basins complement bespoke joinery. Additionally, the carpeted bedrooms feature an abundance of storage and expansive built-in robes. Outside of the apartment, residents have access to a full range of shared amenities. The landscaped podium, complete with recreational spaces, offers stunning views while a luxurious pool pavilion, lush courtyard and outdoor terrace are the perfect spaces in which to relax and unwind after a long day. Meanwhile, a high-end gymnasium, sauna, and steam room — as well as spacious meeting rooms — serve active and busy residents. A public plaza leading into a retail podium of three levels links two of the three buildings. 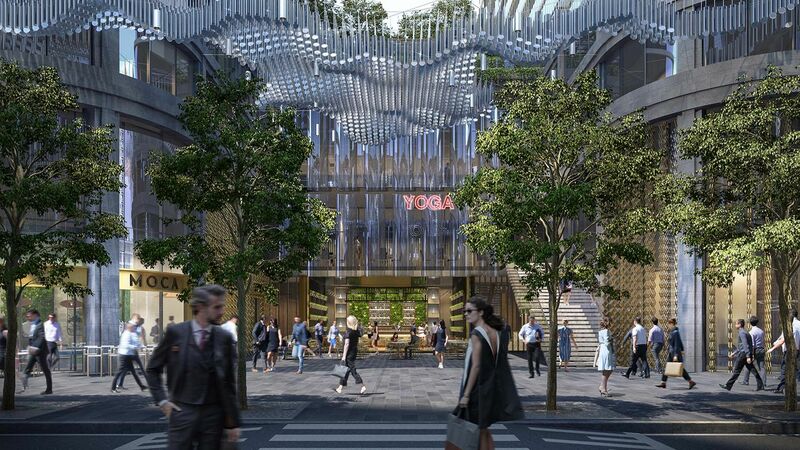 Containing a combination of stores as well as landmark dining and retail outlets along Spencer Street, the plaza is a place for residents to connect with each other and the wider community. With the addition of the St. Regis hotel, select residents at Flinders Bank will have exclusive access to the hotel’s stunning amenities. Renowned for its invention of personalised butler services which will be included at the Flinders Bank site, the award-winning hotel will offer a sparkling swimming pool and sundeck, a spa, and sauna. From this prestigious city location, Flinders Bank gives its residents the opportunity to experience the best Melbourne has to offer. Through the eclectic laneways and riverside walks, homeowners can enjoy the entertainment, arts and cultural precincts of Southbank, where some of Melbourne’s best restaurants lie. Only a short stroll or tram ride away from Southern Cross Train Station, Flinders Bank is in the heart of the action. The Crown Casino and Entertainment Complex is only a short walk away, while Melbourne emporium is accessible via free trams running along Spencer Street. Construction commences early 2019, with apartments due to be released over three stages — and estimated to be finished by 2021. Enquire here to find out more about the collection of homes at Flinders Bank and read more about the new St. Regis Hotel here.